Erik’s Fat Boy Motivation: GET UP!!! Excuses have plagued your life long enough! GET UP!!! The choice to remain dissatisfied, unhealthy, and miserable is all yours! As humans we have a history of getting up and Getting Stuff Done! You are no different! What are you going to get done? I am calling you out. 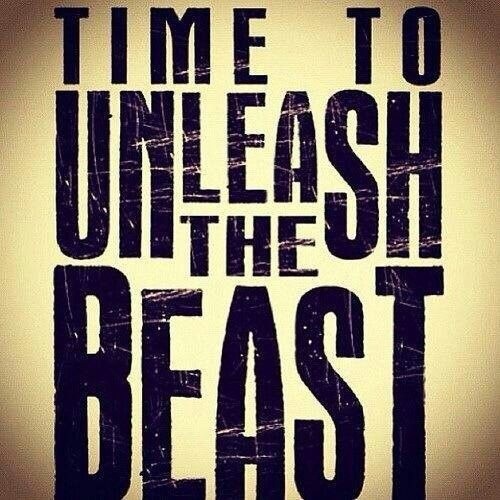 It’s time to switch from veg mode to beast mode! I want you to run like you are being chased, lift like you are going to wrestle a gorilla, and eat like you had to scavenge and forage instead of drive and bag. I want your life to change! I spent too much time “putting in roots” like I was becoming some kind of vegetable, just sitting and eating and slowly killing myself. But no more for going on 5 months now I have been up destroying my excuses and now it’s your turn! I am calling all beasts to get up and do something. I am calling all people to rid their life of the excuses that are holding them back from really living and DO SOMETHING! It is time to really live and really enjoy your existence! Let’s do this! Get up, get going, finish strong!